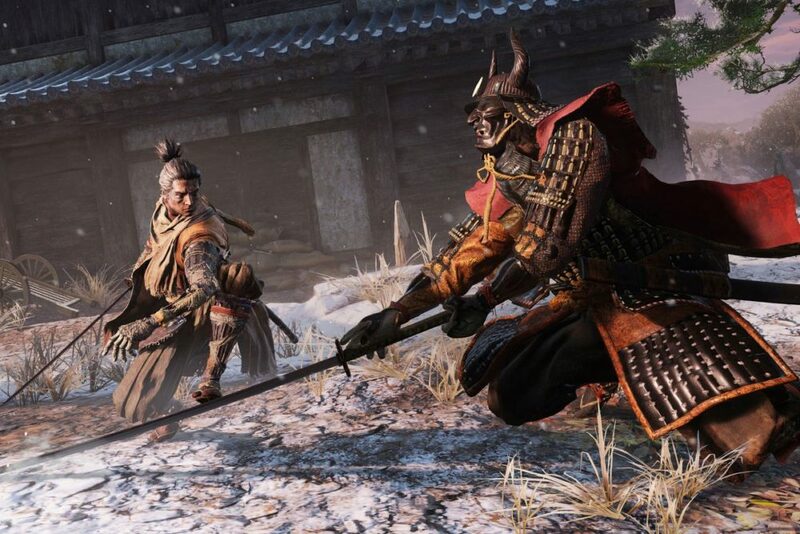 In Sekiro: Shadows Die Twice, you will cross swords with samurai often, in thrilling and blood-soaked duels. In the opening area of the Ashina Outskirts alone you will get plenty of practice, and you are going to need it. Here is how to beat General Naomori Kawarada in Sekiro. General Naomori Kawarada is technically a mini-boss and is actually entirely optional. He is encountered in the aforementioned Outskirts, and will probably be the first real test of your skill, and the cause of more than a few deaths until you learn his patterns. The encounter with Naomori is a classic Soulsborne duel and showcases Sekiro’s combat system well. As he is encountered so early on, he may seem difficult, but as long as you keep your cool and come prepared he will fall to your blade just like all the rest. Thankfully, he is alone, and the area you fight him in is large enough to maneuver in. The most important thing to remember is that you need to open this fight with a Shinobi Death Blow. This is crucial, as it essentially halves his health, and turns a tough fight into something much more manageable. This can be done from above, via the nearby gatehouse. Engage Naomori aggressively, as if he is left to his own devices you can soon find yourself on the back foot. He will attack with a regular assortment of overhand strikes and slashes, and while his size and aggression may make him seem imposing, nearly all of his blows can be parried with the right timing. General Naomori has two attacks in particular that you should watch out for. The first is a sweeping Perilous Strike that is well telegraphed. Jump to avoid this, and hit the jump button again to kick out and inflict some Posture damage. The other is a grab attack, which cannot be blocked and is incredibly fast. Sidestep to avoid this one, and punish him with a counterattack. Build up that Posture bar until an opportunity presents itself, and deliver the coup de grace. Upon his defeat, Naomori drops a precious Gourd Seed and a Prayer Bead. Both of these will be instrumental in improving your survivability for the rest of the game, and the challenges ahead. That’s all you need to know to help you defeat General Naomori. If you are still having trouble, be sure to check out our expansive wiki, which is full of helpful guides. In particular, check out our Beginners Tips & Tricks guide, and our guide on How to Beat the Chained Ogre, who will likely be the next mini-boss you encounter.